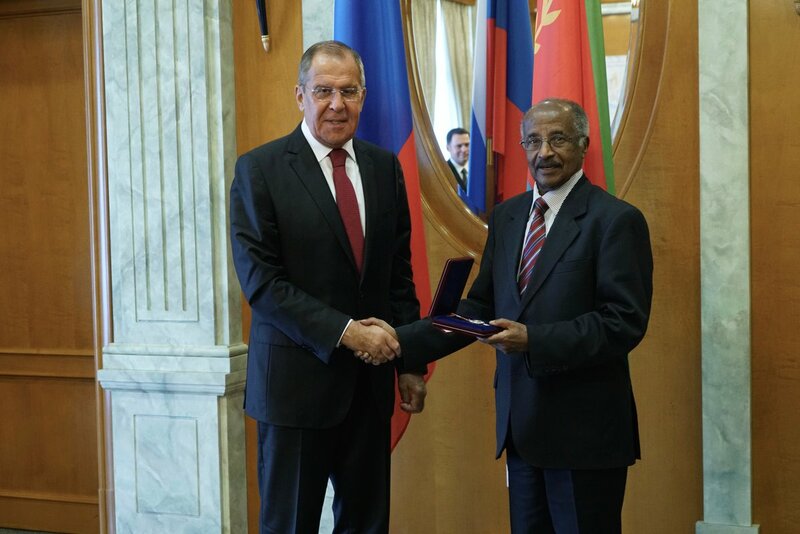 Russian Foreign Minister Sergei Lavrov lauded his country’s relationship with Eritrea and informed the world about Moscow’s plans to build a logistics center there. Iran has been systematically working around its obligations pertaining to the Joint Comprehensive Plan of Action nuclear deal worked out in 2015 with the Obama administration, and has attempted numerous times to obtain both nuclear weapons and ballistic missile technology. The United States is fractured and permanently scarred with very little diplomatic room to maneuver, and as the article states, doesn’t even know it. We’re looking at a new world shaping up within the next 10 years… a new world without the United States having a voice in its affairs. This is an unprecedented new chapter in world history that the old order doesn’t recover from. If you’re an American, get used to second or third-rate living standards and all the problems that come with it. To add clarification: President Trump has a great chance in saving America from ruin, and let’s hope he will. Where he has almost zero chance is in saving it’s standing in the world. An alternative world structure has already been built and members are being filtered in. The ‘on button’ is waiting to be pushed. All that needs to happen is an event, such as global economic collapse, that sets America back and simultaneously provides the new world structure a window of opportunity to spring into first place. Iran’s Forward Operating Base against the U.S.
As of now, it’s a mystery as to which compromised neighboring nation is more of a threat to the United States: Mexico or Canada. Iran’s aim is to use American’s northern neighbour, Canada, as a “forward operating base” for influence operations against the American government. The Trudeau government has shown both a past and present affinity for dictatorial governments. Trudeau himself said he admires the government of the Peoples Republic of China and their “basic dictatorship.” He publicly mourned the passing of Cuban President Fidel Castro. The statement made no note of the 60-plus years of dictatorship, and Cuba’s brutal suppression of human rights. Among its teachings, the Ontario Jaffari Mosque’s school suggested that boys should play sports so they can be “physically be ready for jihad whenever the time comes for it.” Girls, on the other hand, were told that they should “stick to hobbies that prepare them to become wives and mothers. Yemen’s strategic Red Sea port, through which some 4 million barrels of oil flow daily to Middle Eastern markets, is becoming a focal point in the proxy war between Saudi Arabia and Iran, and China is the only power with the economic deal-making leverage to keep this from becoming much more than a proxy battle. Hizbullah has missiles that can reach every part of Israel, an IRGC commander said. 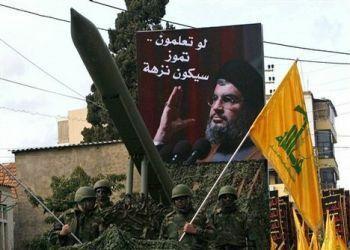 Hizbullah is producing its own missiles in well-protected factories in Lebanon and has raised its level of preparedness for a massive attack on Israel, an Islamic Revolutionary Guard Corps (IRGC) commander said. The flurry of anguished news stories and protests surrounding President Trump’s executive action temporarily suspending “immigrants and non-immigrants” from “countries of particular concern” appears to be part of a coordinated PR effort financed by left-wing billionaire George Soros. Rather than a complete “Muslim ban” as promised during the campaign, Trump’s executive order contains moderate refugee restrictions, similar to those that have been implemented by President Obama. If reports are true that restrictions are being applied even to green-card holders, that is an unfortunate misapplication of the law that will likely soon be corrected. Could ongoing protests lead to social breakdown? Civil unrest is growing in Ethiopia, Africa’s second-most populous nation. Upset by inequality and systemic corruption, members of Ethiopia’s two largest districts have taken to the streets. Since November last year, the protesters have faced off against strong government crackdowns. Eighty percent of the country lives in poverty. Famine threatens 15 million residents. Many are ready to take out their frustrations on the government. 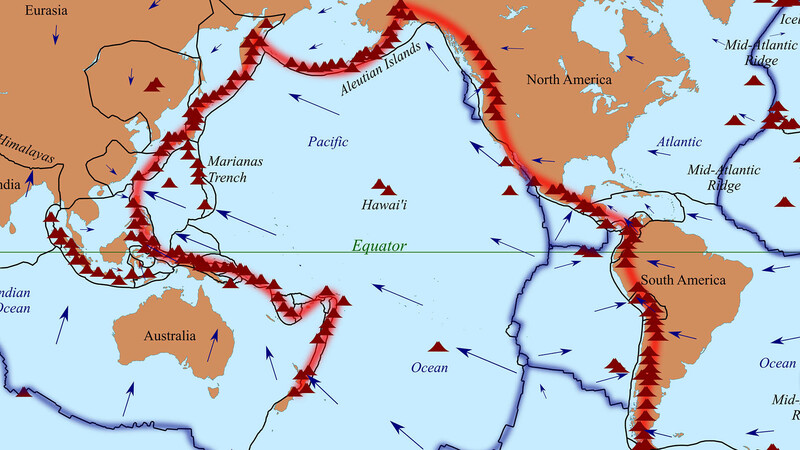 But instability fosters its own problems, and opportunists in the region are watching closely. Will states acquire nuclear weapons to deter regime change by US? From world superpower to world abuser of power, under the Obama administration. America’s senseless pursuit of regime change has destroyed lives and ruined nations in the Middle East and Africa. Drawing lesson from what had happened to former Libyan leader Muammar Gaddafi, countries blacklisted by Pentagon will now go nuclear like North Korea and Pakistan to prevent US from toppling their governments. In 2011, Christian Science Monitor published an important article on lessons learned from US’ illegal war against Libya. Entitled “A troubling lesson from Libya: Don’t give up nukes”, the implication is that if a state gives up nukes, it risks being invaded by the US. Comments Off on Will states acquire nuclear weapons to deter regime change by US? Posted in Africa, Axis Powers, Government Corruption, Iran, Iraq, Islam, Israel, Lebanon, Middle East, Military, National Security & Terrorism, NATO, North Korea, Nuclear Weapons & Proliferation, Pakistan, Politics, Saudi Arabia, Syria, Turkey, USA, War Tagged 9/11, Africa, Al Kibar nuclear reactor, Al-Qaeda, civilian lives, Doug Bandow, europe, Fareed Zakaria, General Wesley Clark, government corruption, Iran, Iraq, ISIS, Islam, Israel, Lebanon, Libya, Middle East, Muammar Gaddaffi, NATO, North Korea, Nuclear Weapons & Proliferation, Pakistan, Pentagon, Qatar, regime change, Reza Sanati, saudi arabia, Senator Chris Murphy, Somalia, Sudan, Syria, Tripoli, Turkey, Wahhabism, War, Will states acquire nuclear weapons to deter regime change by US? It is easy to be cynical about the outpouring of grief from the European Union’s leaders on behalf of the roughly 800 migrants who drowned when their boat capsized in the Mediterranean last week. Those leaders pledged “determined action to prevent the loss of lives at sea and to avoid that such human tragedies happen again”—but that pledge was made in October 2013, the last time Europe saw a crisis of this kind. Meanwhile, Europe’s press cries out for the EU to do more—both to rescue drowning migrants and to allow more of Africa’s struggling citizens into the Continent. 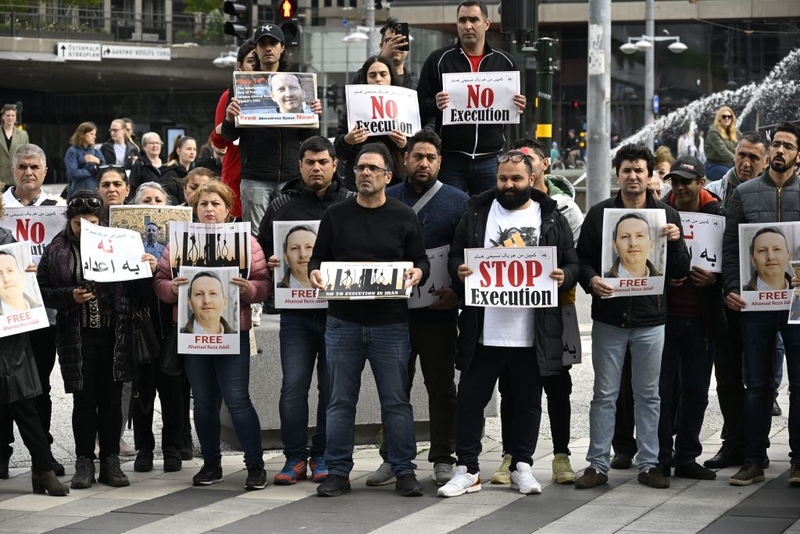 “We have become accomplices to one of the biggest crimes to take place in European postwar history,” scolded Germany’s Spiegel magazine last week. And how will this whirlwind prophecy be done? Likely through a European Army created by the German-led United States of Europe, if it isn’t NATO. The Islamic Republic’s terrorist reach extends well beyond the Middle East. Even to the casual observer, Iranian meddling in Iraq, Syria, Lebanon, Israel, Yemen, Bahrain and other Middle Eastern nations is abundantly evident. Iran is fighting both directly and indirectly against rebel forces in Iraq and Syria. It has tremendous clout in Lebanon via its Hezbollah proxy, and its determination to “wipe Israel off the map” is widely known. Recently, an Iranian general declared that his nation “must make efforts to bring Bahrain back into Iranian territory and transform it into a part of [its southwestern province of Bushehr].” And in the past four months, three Iranian shipments of weapons have been intercepted in the Middle East. The most recent of those arms shipments was intended for Houthi rebels in Yemen. What makes this even more dangerous is Pakistan’s involvement. They are a nuclear power who recently in January overtly threatened to wipe Iran off the map should harm come to Saudi Arabia. China has taken the side of Syria and should it get involved expect a Pakistani-Chinese exchange and even a possible strike from India on China. This whole event in the making would just open Pandora’s Box and many scenarios could unfold. For anyone in the U.S. who thinks this will be “over there”, think again. Stockpile food now because the fallout would crash the markets and even spark terrorist attacks from thousands of sleeper cells on the American homeland due to western involvement. If you think World War III is a joke or out of a question, then you really need to make a personal assessment. The facts are all there and everything is in motion to make it happen. Where this all currently leads, we can only watch and see. 350,000 soldiers, 20,000 tanks, 2,450 warplanes and 460 military helicopters are massing in northern Saudi Arabia for a military exercise that is being called “Northern Thunder”. According to the official announcement, forces are being contributed by Saudi Arabia, the United Arab Emirates, Egypt, Jordan, Bahrain, Sudan, Kuwait, Morocco, Pakistan, Tunisia, Oman, Qatar, Malaysia and several other nations. This exercise will reportedly last for 18 days, and during that time the airspace over northern Saudi Arabia will be closed to air traffic. This will be the largest military exercise in the history of the region, and it comes amid rumors that Saudi Arabia and Turkey are preparing for a massive ground invasion of Syria.